The new map went live on May 3, but has remained disabled on the competitive ladder. Overwatch‘s newest map has just joined the game’s competitive mode on Xbox One, PlayStation 4, and PC. Rialto was launched in Overwatch on May 3, but has remained disabled in the game’s Competitive Play mode. The map became available on the competitive ladder with today’s Overwatch anniversary update. The payload map had been in testing on the Overwatch PTR since April 19—though a slightly different version was playable during the Overwatch Archives event, which ended in April. Until now, the Rialto map was only playable in the Arcade, Quick Play, and in custom games. The map should look familiar to anyone who’s read the Doomfist Masquerade comic. There, we got a glimpse of Talon’s base in Italy—it’s a sprawling headquarters that encompasses a huge part of the city. As we learned in Overwatch Retribution, Talon agents are everywhere. Overwatch’s tenth competitive season began on April 31. Overwatch players will have a few months to climb the ladder and reach new heights. Blizzard also introduce Brigitte in the tenth season; she’d been disabled for the entirety of Overwatch’s ninth competitive season. 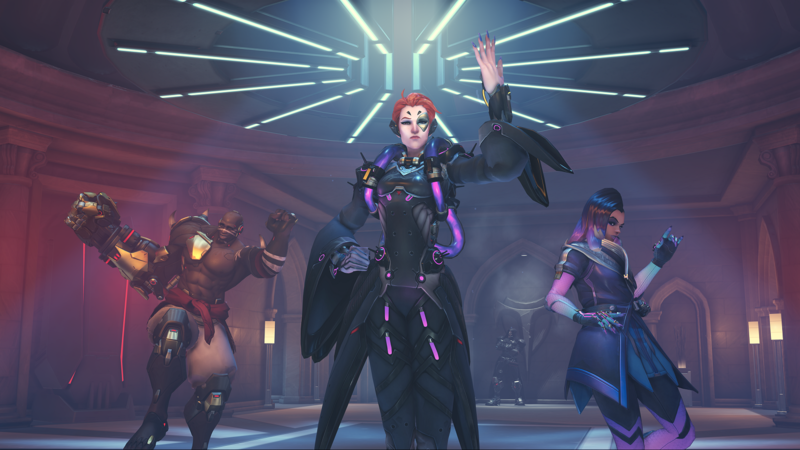 It was part of an initiative designed to give each competitive season “a stronger identity,” Overwatch developer Scott Mercer originally said. But fans were unhappy with the delayed launch time for the hero, just as with the lag time for Blizzard World’s entrance into Competitive Play. In April, Kaplan noted that the Overwatch team was considering a removal of this rule based on player feedback. It looks like they’ve taken the feedback to heart, given how quickly Rialto has transferred over to the competitive map pool. It’s unclear if this quicker release time will continue for heroes, or just maps.